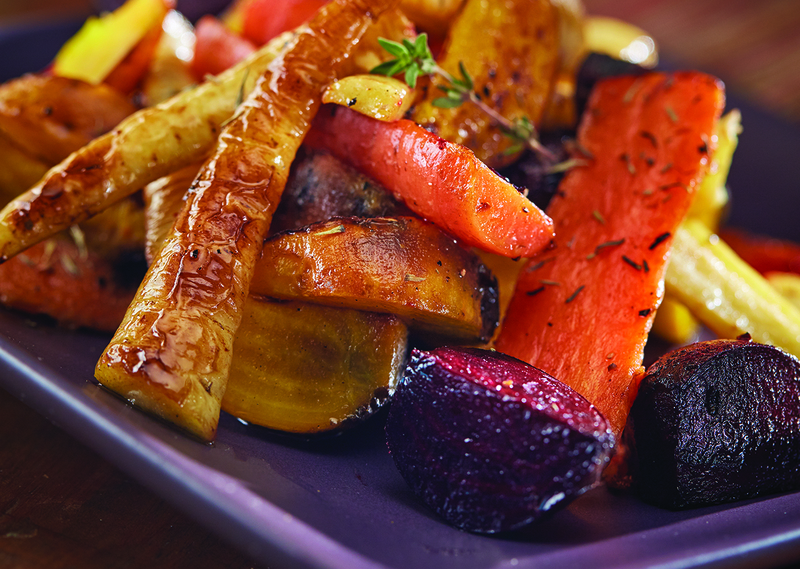 One benefit of winter weather is the prevalence of hearty root vegetables. This recipe combines the earthy taste and texture of beets with the sweetness of carrots and slightly bitter bite of parsnips. Place vegetables, oil and salt and pepper into a large resealable plastic bag; mix well to coat. Preheat Contact Roaster. Place vegetables flat side down directly on surface of roaster. Set timer and roast 15 min. vegetables turning twice until tender crisp browned on all sides.